Gail Perry, MBA, CFRE, is an international fundraising consultant and keynote speaker. Her Fired-Up Fundraising blog has an international following of over 10000 nonprofit leaders. She is the best-selling author of Fired-Up Fundraising: Turn Board Passion into Action (Wiley/AFP). Her Fired-Up Fundraising approach, developed over the past 25 years as a non-profit philanthropy expert, has helped organizations raise hundreds of millions in gifts and support. Gail helps nonprofits and NGO's all over the world fire up their boards, engage their donors and secure major funding for their missions. 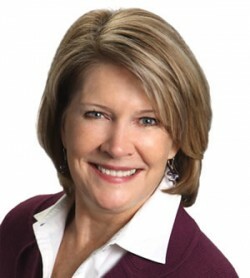 She is the founder of Gail Perry Associates, a Raleigh-based consulting and training firm, and is past President of the Triangle Chapter of the Association of Fundraising Professionals, which recently awarded her 2011 Outstanding Fundraising Executive of the Year. She's a frequent guest on nonprofit interview shows, fundraising blogs, and writes frequently for Guidestar, Fundraising Success, BoardSource and many other respected industry resources. Gail launched her fundraising career at Duke University and then directed the fundraising program at The Kenan-Flagler School of Business, University of North Carolina at Chapel Hill. Ms. Perry holds an MBA and a BA with honors in English from University of North Carolina at Chapel Hill.